If standardized tests are used in the field of education to assess the students’ performances in various dimensions, the Psychometric tests are used for determining the emotional and intellectual abilities of the candidates. Along with the cover letter, resume and other references, many of the companies are opting for psychometric tests to conduct a face on face internal examination. This will, in turn, reveal the personality traits of a person who is shortlisted for a particular post in the company. Many companies right from corporate conglomerates to small firms are selecting this method as a vital part of their recruitment process along with the mandatory aptitude tests and HR interviews thinking that this inclusion will be beneficial to them in the long run. While one set of people encourage these types of different assessments, another set of people discourages these attempts for various reasons. In the current scenario, these tests have become a million dollar business and many of the test developers are becoming famous within a few minutes. It is reported that around 80% of the companies that are located in various developed countries like United States, United Kingdom, Australia and Japan are opting for a huge number of psychometric kits during their recruitment processes. This is mostly viewed as a pre-hiring assessment tool and even many of the companies which have already recruited people sans these psychometric tests are indulging their employees to take those tests and submit the results to ensure that they have hired the right person for their jobs. These companies strongly believe that these tests will show the core competencies and the strong positive abilities of a person during the pre-recruitment stage itself thereby giving the companies enough time to consider or reconsider their decision. But, What is a Psychometric Test? Let us consider some basic questions first. Are you slim or moderate or obese? Are you good at sports or academics? Which fine arts did you like in school and why is that so? Are you good at maths or science? What was your school-life ambition and what stopped you from achieving it? Can you describe your schooldays? What qualities of yours can be said by you as your assets? These questions can very well be tagged as self-determining tests. Based on the experiences you had and on your personal interests, the answers will be scripted down. Let us say that a scale of 1 to 10 has been listed down for the appropriate questions. The scaling recorded will only be a hazy gist of your views and doesn’t explain more than what you have recorded, whereas a psychometric test will be a real analysis of your behaviour thereby revealing entirely your strengths, forte and your weak spots, the areas where you can develop yourself much further and it provides an opportunity to the assesses to compare you with the other equally placed candidates. It will give them an insight into the ‘real you’. Consulting tests that are conducted as a part of the wholesome psychometric tests are more concerned in bringing out the purposefully measured positives of a person. It brings out the real viewpoints of the appeared candidates rather than making them to pour out some sugar-coated words as a white lie. Unfortunately, in many of the circumstances, the realism has become the bitter truth which shatters the illusion of a company from an external point of view. Most of the employers make use of these psychometric tests in the hiring process so that they can evaluate the candidate’s overall skills, intelligence and personality traits. They try to match the suitability of the interviewee to the company culture. Every organization makes its hiring process tough so that they can get the best candidates to their workforce. This helps them to stand high in the market and also aids them in managing the growth and development of the organization. To make it possible the employers or recruiters try all kinds of tests on the candidates. And out of them one such effective test is psychometric tests. The main aim of this test is to assess the candidate’s personality, skills and aptitude. 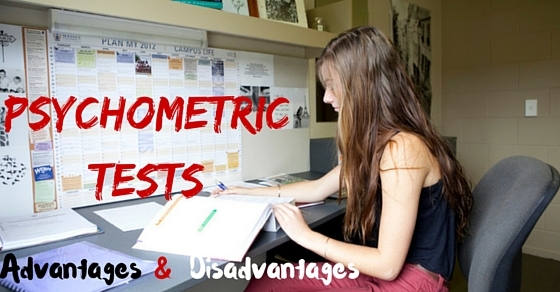 Here are a few tips that help to pull through the psychometric tests successfully. This psychometric testing is more like the Jack and the beanstalk story wherein acquiring the goose had its own shares of stumbling rocks and stepping stones. Let us now look into some of the merits and demerits of this method. The results that are obtained in this method are more accurate and appropriate than those results that are obtained through the other means. These results are sturdy, reliable and unbiased which apparently turns out to be the major merit of this method. These kits are relatively cheap to acquire as many private statistical firms are producing these types of assessments. Though a well qualified psychometric assessment is hugely expensive in terms of monetary values, it will immensely benefit the company in the long run (i.e.) there is no need to buy a separate kit each and every time the recruitment is conducted. The old kit itself can be modified in accordance with the newer norms and can be used once again. Also, the costs incurred by the company as losses due to the non-performance of staff, high turnover rates and underrated recruitment are far more higher than the costs that is tagged with this method. As these tests are doled out to candidates in groups, it saves a lot of time and money for the company. If a candidate is not selected, it gives an opportunity for the concerned person to make a complete review about themselves and provides an opportunity to rectify the mistake and provides the way to compare more candidates and choose the best one, for the company. Psychometric tests are ones that assist the employers to pick individuals who possess personal working styles, abilities, and motivation. With these tests, the right person for the right role is picked up. By adopting this test, a candidate with only good interview skills can be averted and candidates with other skills as mentioned are chosen. A psychometric test helps the employer understand the candidates. The performance of the candidates is likely known. Their capabilities such as if they can handle stress, their relationship with clients, and if they are a perfect fit into the organization’s culture can be identified with these test. The test also helps to find out if the employee would be updated with paperwork and the right way to maintain them on track. Good Psychometric tests and assessments offer more information; they show what an individual’s motives are and the way the employees would like to educate themselves. By this way incentive schemes, development programs and training helps the employees get the best out of each individual. With the help of psychometric test, applicants can find the right job which they love. These tests avoid them to get into jobs which make them frustrating. The main advantage of this test is that evaluation can be done about the personality and abilities about a particular job and make out if the job is a perfect fit. The recruitment process is found to be improved with the help of psychometric testing. This is because only relevant and appropriate candidates are chosen through this test. This saves money as well as time being spent on unsuitable candidates. These psychometric tests are said to work better than interviews and there are a number of assessment tools that are tried as well as tested. These tools are used in abundant organizations across the globe. These tools are purely developed for work purpose and targeted for the purpose of work needs. Psychometric testing can be utilized at any stage of the application process. Depending on the size of the company they can be followed in the beginning of the process and at the end of the process. By this way, they can double check and find the right candidate for employment. Often many companies are conned into buying the non-psychometric tests as the necessary psychometrics. As a result, many of the companies struggle to get desirable results. Though these fake methods provide an illusion of presenting a complete picture of both the sides to one another, in reality, they do not. When the companies realize the truth, the cost would already have stepped up to a huge extent. Some of the candidates can become nervous at the onset of the tests and can fumble right from the beginning to the end and the last thing a person needs for an interview is to entirely collapse the same. If used in conjunction with the other information, these tests are unable to produce exact results as these tests are incompatible with the other tests of the same kind. There is no complete psychometric test that is applicable for the interview of all kinds and differs completely from one selector to another. Also, the parameters considered to design the test varies which makes it as a dead end for the candidate to prepare beforehand. Fake coaching centres that produce no results have cropped up everywhere are luring the prospective candidates and squeeze money out of them. These tests are prepared using sample statistical populations that have the only aim of being honest to the core and thus, these tests leave out the factor of faking the test by a person. In this case, conducting this test will become an epic failure. Those who hail from different language and cultural backgrounds and those who don’t even have an inkling of an idea about these psychometric tests will duly be eliminated even though they have the necessary prerequisites for the job. The other main disadvantage of the psychometric test is that employees tend to give fake answers. Potential employees can find this to be a problem at times of interview. In this scenario, employees would answer in a way how employees desire to hear. At the time of the interview, they would try to diminish their negative thoughts and try to enhance their positive aspects, just to answer well and get a green signal in the interview. To make it clear, individuals aren’t honest and hence they try to sell themselves in the interview session. An individual is labelled as one thing or the other by means of a psychometric test. The result of a person can be mentioned as introvert after a psychometric test, but in general and reality, the individual can possess an introvert as well as extrovert personalities. The characteristics of a person cannot be sure about as either black or white, there may be possibilities for the person to be grey. Hence the results from these tests can be identified as inaccurate as they cannot be identified correctly. There are more of a fixed number of answers when psychometric tests are considered. The role of test takers must also be considered because they are forced to pick an answer through any of the answers do not match with the personality of the employee. The real fact is that human nature is complex in nature and these tests are ones that will not be counted. Hence the results cannot be counted as accurate. Internal candidates for any specific job can feel depressed and disgruntled as they are also treated in the same style as external candidates. Candidates feel nervous and they must be put at ease first before the session. These psychometric tests are very complex to be handled and hence the administration requires training to handle the same. The initial start over for psychometric test can be costly, for using re-usable materials, training of administrators and more. Thus, I have listed down all the possibilities and hurdles that this method has to offer. Though every test is a mix of positives and negatives, the ultimate decision solely relies on the concerned company management and not the appearing individuals.